Dance Theatre Studio, Youth Arts Program, Registration Form September 2018- August 2019. Please make sure that your email address is correct when registering your dancer and add dancetheatrestudioa2@gmail.com to your address book to ensure you receive our emails. I understand that there are risks of physical injury associated with, arising out of, and inherent to dance, private lessons, and all other activities at Dance Theatre Studio. By signing this Waiver of Liability, I declare that the aforesaid participant is in good health, with no physical conditions that might prevent his/her/my participation in strenuous and rigorous activities. I hereby acknowledge that I knowingly and voluntarily assume full responsibility for all risks of physical injury to my child, myself, or the minor child for whom I am a legal guardian, arising out of active participation in the activities at Dance Theatre Studio on behalf of the participant. In recognition of this acknowledged risk of injury, I hereby indemnify, release and forever hold harmless Dance Theatre Studio, its officers, agents, members, employees, instructors, subsidiaries, parent corporations, and all affiliated entities (collectively, "Dance Theatre Studio"), from any and all claims of liability arising from any accident, personal injury, death, or property loss or damage sustained by my child, myself, or the minor child for whom I am a legal guardian, while that person is participating in activities connected with Dance Theatre Studio. This Waiver of Liability is intended to be as broad and inclusive as is permitted by the laws of the State of Michigan. Further, I understand and acknowledge that because of the physical nature of activities at Dance Theatre Studio, there may be proper physical contact between directors, employees, staff, company members, instructors and students during class instruction. I understand that at times for proper instruction and safety, physical contact is required and necessary. If I am a parent and/or legal guardian signing this document releasing Dance Theatre Studio from any and all such liability described above, I have informed the minor that they are knowingly and voluntarily assuming all risks of injury inherent to this activity. The participant has my permission to participate in Dance Theatre Studio activities and events. I have carefully read this Waiver of Liability and fully understand its contents. I understand that I am assuming a risk and releasing Dance Theatre Studio of all liability. I have signed this Waiver of Liability of my own free will. I recognize that various photographs, video recordings, and other promotional material may be created by Dance Theatre Studio. I consent to the use of my and/or my child's name and likeness in perpetuity, whether in photographs, film, videotape, or otherwise, for the purpose of promoting Dance Theatre Studio, its business and products, and the business and products of its affiliates and subsidiaries. I further acknowledge that I will receive no compensation for the use of my and/or my child's name and likeness. I agree that I will not use any photograph, video recordings, or other media created on Dance Theatre Studio's premises without express consent from the owners of Dance Theatre Studio, including but not limited to posting such media on the internet. I acknowledge that Dance Theatre Studio reserves the right to cancel or reschedule any class or lesson due to insufficient enrollment. I further acknowledge that Dance Theatre Studio reserves the right to change instructors when necessary. I further acknowledge that Dance Theatre Studio will not offer refunds after the initial two-week period for group classes. 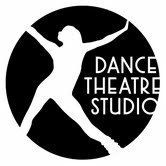 Dance Theatre Studio reserves the right to deduct the costs of any completed classes and processing fees from any offered refunds. This non-refund clause encompasses all activities at Dance Theatre Studio except for private lessons. I recognize that Dance Theatre Studio requires a 24-hour notice of cancellation for any private lesson, and a failure to attend or provide 24-hour notice of cancellation will result in Dance Theatre Studio charging for the full lesson. I have carefully read the Policies and Information and fully understand its contents. Enrollment closes, Saturday, October 27th. Registration is done online through your "Parent Portal." New families will need to create an account before you have access to your portal. First month's tuition is due at the time of registration, this will take care of Septembers tuition payment. Thereafter, tuition will be billed the 1st of every month from October - May. If the first of the month falls on a Sunday, the billing will take place the following day. Families with outstanding balances will not be able to register until that balance is paid in full. Tuition that is not paid by the 10th of the month a $10.00 late fee will be placed on your account. If a class is full you may choose to go on the waitlist, you will be notified via email if a space opens up. Dancers will not be added into classes after enrollment closes on Saturday, October 27th. Billing communication is done via email. For all classes dancers hair must be secured back away from the face before class begins! Regular t-shirts are not acceptable in class-athletic fitted t-shirts are fine, but teachers must be able to easily see the dancers alignment. This applies to baggy tank tops as well, teachers can not properly correct a dancer's form if they cannot see their alignment. In ballet class pants are not permitted. Please see website for specific class requirements. Dancers will be asked to change if they show up to class not following dress code! To create a positive family atmosphere where supportive and disciplined teaching enables dancers to express themselves while developing confidence and self-esteem. To have created a welcoming, supportive, and positive community where everyone feels self-confident to grow and express themselves. Learning: We are positively growing fueled by creativity, diversity and fun. Professional: We strive to be respectful and responsible in how we act and react in everything we do.